Coral reefs are just the beginning. The waters of the Riviera Maya teem with sea life big and small and offer snorkeling adventures found few other places on earth. The world's largest fish congregate in clear Caribbean waters, and snorkelers have a rare opportunity to witness sailfish on the hunt, using rapier-like bills to slash through pods of bait. Sea turtles and tropical fish are the focus of more sedate encounters in tropical lagoons. Inland from the beach, hidden rivers flow beneath the jungle, giving snorkelers a unique chance to drift in underground passages filled with clear water and festooned with glitter stalactites. Whale shark and sailfish encounters take place in open water in an area north of Cancun and Isla Mujeres and are reached by an hour's boat ride. 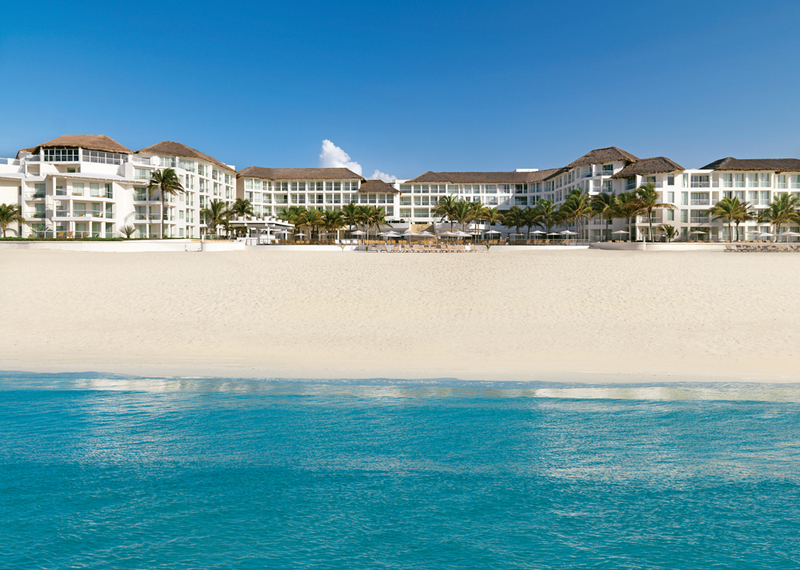 Turtle encounters and reef snorkels begin with a short swim from the beach. 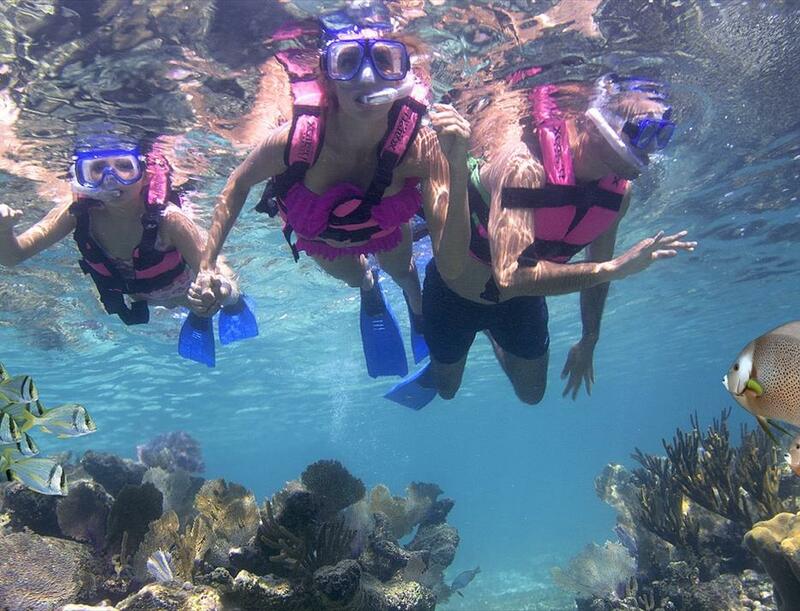 Tour operators use buses or offroad vehicles to bring snorkelers to inland cenotes. While many of the snorkeling activities offered in the Riviera Maya are true adventures, you don't have to be an expert free diver to participate. Sailfish encounters require the most water skills, as they take place in the open ocean during winter months when seas may be rougher. Whale shark swims happen in calm summer months, and the big fish move fairly slow. Cenote waters are calm and clear year-round, and to make swims to the reefs easier for turtle encounters, some operators provide battery-powered dive scooters. Freshwater pools known as cenotes are filled with crystal-clear water, and some lead to underground rivers. Each year, huge whale sharks gather in Caribbean waters off Isla Mujeres. In winter, sailfish hunt swirling schools of bait in the same area. Near the ancient city of Tulum, a marine sanctuary provides unique opportunities for encounters with sea turtles. Keep personal items and snorkel gear organized in a nylon or mesh tote bag. Wear water shoes with firm soles or sports sandals to provide secure footing when moving about a boat or negotiating limestone paths on the way to a cenote. Bring a hat for sun protection on boats and a towel and change of clothes for jungle trips. RIVIERA MAYA – BUILD YOUR OWN PACKAGE includes 7 night superior deluxe accommodations, breakfast, lunch and dinner daily, snacks, and beverages including premium alcohol, daily entertainment, WiFi, CHI professional blow dryer and flat iron, $1500 resort credit to be used on select activities, tours, spa and romantic dinners per specified amount (16% tax to be paid in cash on island will apply for using resort credit), roundtrip airport transfers, hotel tax and service charges. Options to add on Whale Shark Snorkel, Mayan Ruin Tours and Adventure Park Tours. BUILD YOUR OWN PACKAGE includes 7 night Royale Deluxe Resort View accommodations, breakfast, lunch and dinner daily, snacks, and beverages including premium alcohol, daily entertainment, free WiFi, CHI professional blow dryer and flat iron, $1500 resort credit to be used on select activities, tours, spa and romantic dinners per specified amount (16% tax to be paid in cash on island will apply for using resort credit), roundtrip airport transfers, hotel tax, and service charges. Options to add-on Cultural Tours and Snorkeling Excursions. 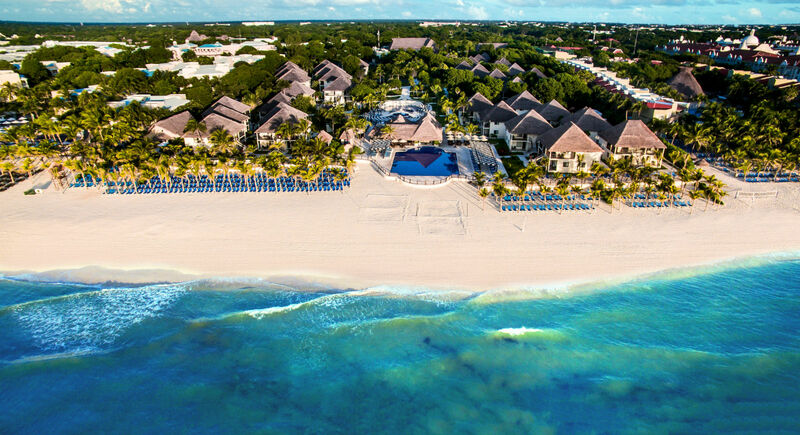 RIVIERA MAYA - BUILD YOUR OWN PACKAGE includes 7 nights superior accommodations, breakfast, lunch and dinner daily, snacks and beverages including alcohol, non-motorized watersports, daily scheduled entertainment, roundtrip airport transfers, hotel taxes and service charges. Options to add-on the Unlimited Xcaret Experience and other tours. ISLA MUJERES - BUILD YOUR OWN PACKAGE includes 7 night Superior Deluxe Pool View accommodations, breakfast, lunch and dinner daily, snacks, and beverages including premium alcohol, daily entertainment, free WiFi, CHI professional blow dryer and flat iron, $1500 resort credit to be used on select activities, tours, spa and romantic dinners per specified amount (16% tax to be paid in cash on island will apply for using resort credit), roundtrip private yacht ride from Cancun marina to Isla Mujeres marina hotel tax, and service charges. Options to add-on Cultural Tours and Snorkeling Excursions. 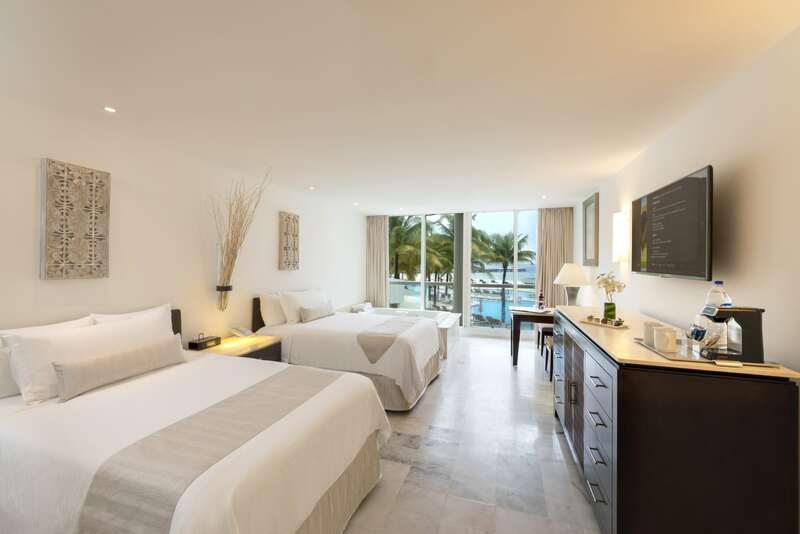 PLAYA DEL CARMEN – BUILD YOUR OWN PACKAGE includes 7 nights superior accommodations, breakfast, lunch and dinner daily, snacks and beverages including alcohol, non-motorized watersports, daily scheduled entertainment, roundtrip airport transfers, hotel taxes and service charges. Options to add-on Cultural Tours, Whale Shark Safari and Snorkeling Excursions. 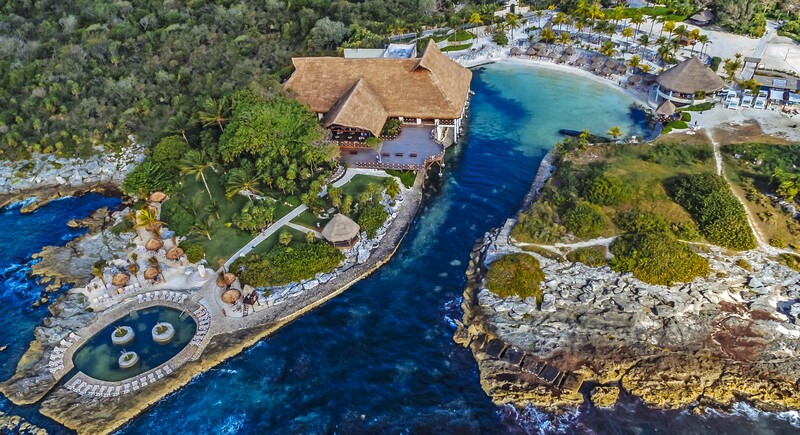 RIVIERA MAYA - Tucked amid an ecological and historical preserve, the all-inclusive Occidental Grand Xcaret captivates guests with spectacular grounds, a pristine coastline and unparalleled service. 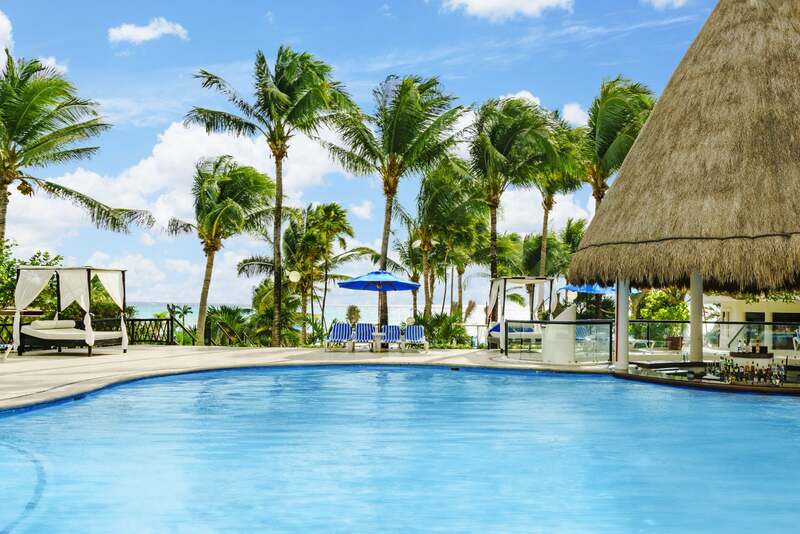 Located less than an hour south of Cancun International Airport and 10 minutes from Playa del Carmen, this glorious resort boasts winding river channels, free-form pools and a private beach with powder-soft white sand on a quiet cove. ISLA MUJERES – Just a short ferry ride from the hustle and bustle of lively Cancun, you will find this luxuriously intimate all-inclusive and couples-only resort with only 62 beautifully appointed rooms and all of the amenities expected at any prestigious Palace Resort. 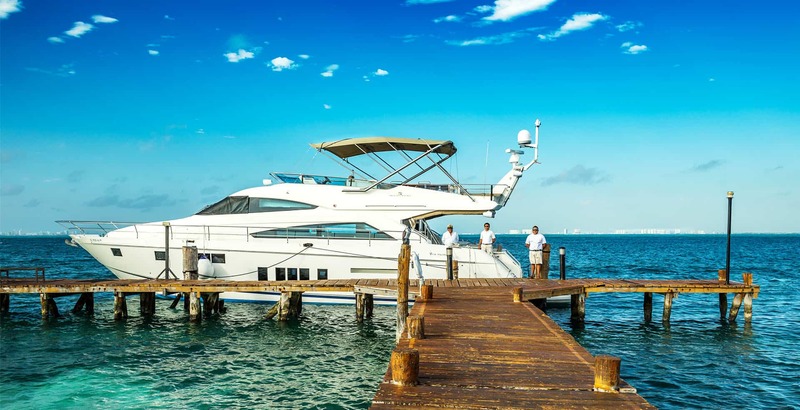 Isla Mujeres (Island of Women) offers stunning beaches, great diving, and thrilling encounters with migrating whale sharks from May to September. PLAYA DEL CARMEN – The all-inclusive Allegro Playacar Resort is a family-friendly resort offering a great vacation experience for divers and non-divers alike, Located minutes away from the picturesque town of Playa del Carmen, the resort provides an oasis for relaxation with guest rooms boasting a bright tropical decor and offering either garden, ocean or pool views. 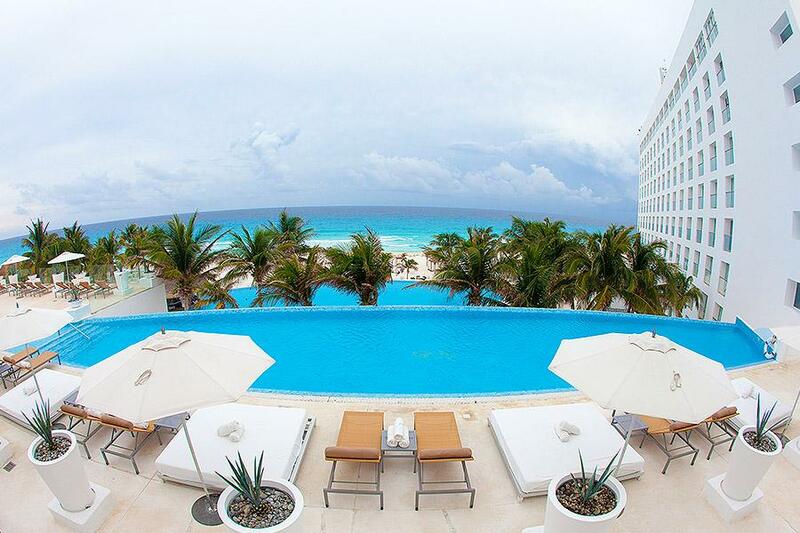 PLAYA DEL CARMEN – This beautiful all-inclusive beachfront resort features 202 well-appointed Caribbean-style rooms, each with terrace or balcony. Amenities include four full service restaurants and poolside dining around a spectacular free form pool. A variety of activities are available for guests of every age. The resort is also just minutes from the shops and restaurants on Playacar’s famous Fifth Avenue. PLAYA DEL CARMEN – Located just minutes from the shops, bars, and restaurants of Playa del Carmen’s famous Fifth Avenue, this all-inclusive beachfront resort offers a state-of-the-art spa, a world-class 18-hole golf course, and all of the amenities expected at any prestigious Palace Resort. 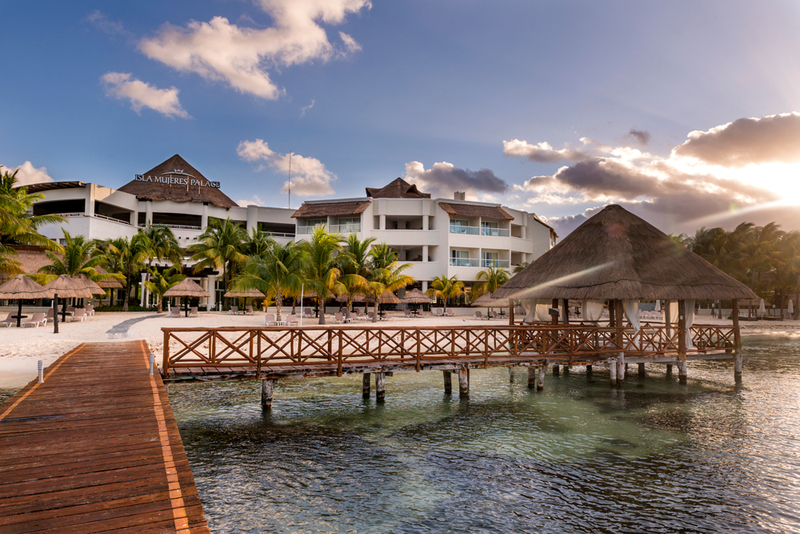 This resort is ideal for families and couples alike and is a great base from which to explore the sites of the Riviera Maya as well as explore its spectacular reefs. 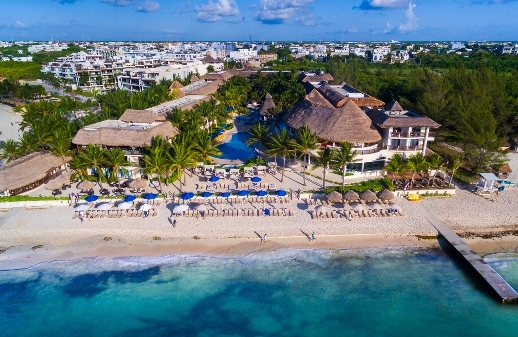 PLAYA DEL CARMEN – Nestled in the heart of the Riviera Maya on Mexico’s sun-splashed Caribbean coastline, The Reef Playacar Resort & Spa takes a page from the playbook of the ancient Mayan Gods. Magically blending the quiet seclusion of a tropical rainforest with the white-hot beauty of one of the world’s most spectacular beaches, this all-inclusive oceanfront resort captivates fun-loving families while simultaneously catering to couples who seek solitude.